May the true King Power, the One who created the universe, who has power over life and death, have mercy on the soul of V.S. and grant him eternal rest. 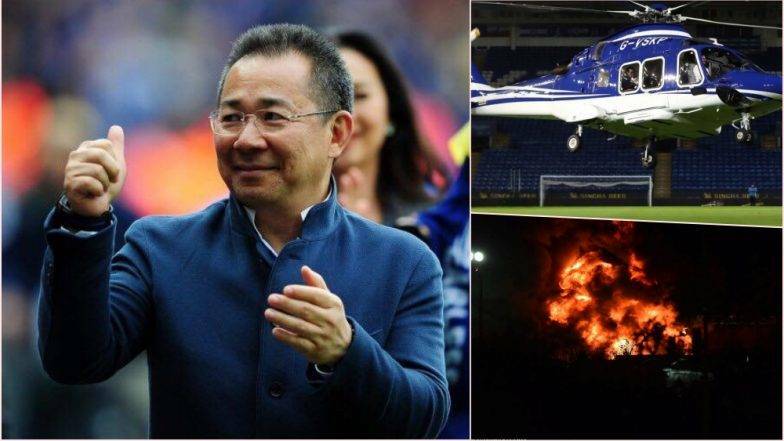 As a writer, I have always believed in a good headline as a precursor to anything I write — be it a book or a newspaper column such as this on the cruel and horrendous death of the Thai billionaire whose helicopter crashed shortly after watching our man Wilfred Ndidi rescue his football club Leicester City from a home defeat. A headline gives you a sense of direction. A good headline elevates you to sublime heights, there to give you a “helicopter view” of the subject matter in its majestic panorama. A headline allows you to see the big picture, to see the end from the beginning and the beginning from the end. A headline is what would attract readership. It is what would draw the fans to the football stadium of the mind. In choosing a headline, sometimes you are confronted with two difficult choices, each of them good. My first headline for today’s column was: A Helicopter View of Death. It’s a headline borrowed from business management. In strategic thinking, you talk of “helicopter view” of the business. A helicopter view allows you to see the business from the sky in its entirety. A helicopter view allows you to see the big picture, to see the elements of the business, the parameters and the interconnections. A good leader first takes the helicopter view and zooms in. Leicester city owner Vichai Srivaddhanaprabha (V.S.) was one man who enjoyed the power and glory of flying and viewing life and business literally from a helicopter viewpoint. I can imagine the relief, the joy and peace of mind he enjoyed after Ndidi scored that last minute cliffhanger of a goal. I can picture his ascent on his helicopter in the last ride to death. I can picture him looking down on his King Power stadium for the last time and not knowing that death would soon strike and consume him in a bonfire of death in the sky. It’s so sad. Very sad. Ah, the helicopter! The rich man’s freedom toy for beating the traffic, flying high in the sky and watching the Lilliputian world below where ordinary people ply and compete for space on the road. Up there, it’s freedom. But for Vichai and his four-man crew, this freedom had come at a heavy, deadly price. In writing about this tragedy and choosing a headline, I think of Wole Soyinka’s play Death and the King’s Horseman and I found myself a good parody: Death and the King Power Horseman. In Soyinka’s play, the king dies and his horseman, Elesin is to commit suicide as tradition demands to accompany the king into the otherworld. But the British colonial authorities wouldn’t allow Elesin to kill himself. A conflict ensued. It is a drama based on a true story of the colonial era. Soyinka wrote the play during his time in exile, on a fellowship in Cambridge University. Unlike in Soyinka’s play, the horseman of this ‘sky horse’ along with his girlfriend the co-pilot both died, heroically steering the horse from killing hundreds of people in the stadium. Even with death lurking, the pilot had the presence of mind to save lives other than his own. The lesson for me in this tragedy is that machines and systems are built by human beings and no matter how perfect, they are susceptible to failure. Anything man or man-made can fail. Only God does not fail, cannot fail, and will not fail us, even here in Nigeria — if we trust in Him enough to pilot us on this turbulent journey in a turbulent country filled with God’s manifold blessings and opportunities. Are your hands stained with blood?